'Unicity Matcha aims to energize your body and mind, giving you the vitality and clarity you need to fully experience life. The abundance of chlorophyll in Matcha makes it an ideal rejuvenator. It carries oxygen to your cells, regenerating them and building your blood. Bursting with antioxidants called catechins, Matcha eliminates free radicals, slows the signs of aging, and optimizes your metabolism. Shade-grown plants like Matcha produce L-theanines. These amino acids calm the brain without making you drowsy. like i said in my video, i've been drinking unicity matcha for over two weeks now and i really love everything about it. the taste, the energy, the focus && the optimization of your metabolism. i genuinely love this product and would love to hear what you guys think about it too! 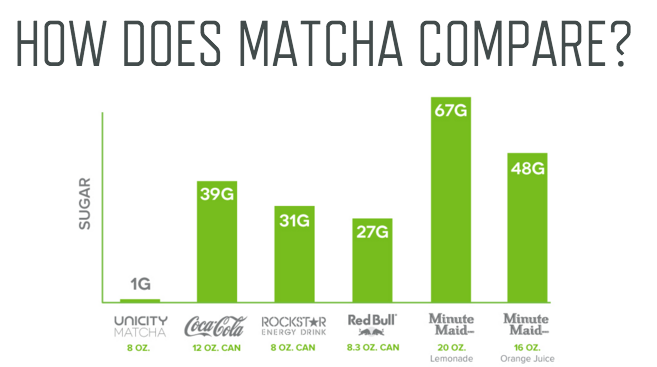 thanks to unicity match green tea for sponsoring this post! Great product review! You have plenty of energy! ;) Tomorrow we will have a Matcha tea party in Gothenburg, Sweden! To restore and preserve integral well-being of your body, green matcha tea can be replaced with daily teas as most of the health enthusiasts have been doing the same. Smoothies are easy to whip up for breakfast, as a post-workout meal, or a nourishing snack anytime of the day. My whole family loves this energizing smoothie and I think you will, too http://smoothierecepty.cz/matcha-tea-smoothie/.